Today, 9th November 2014, we are celebrating our 3rd anniversary. On this occasion, we would like to thank all our readers, hackers, news providers and our friends who have been supporting us during these successful years. 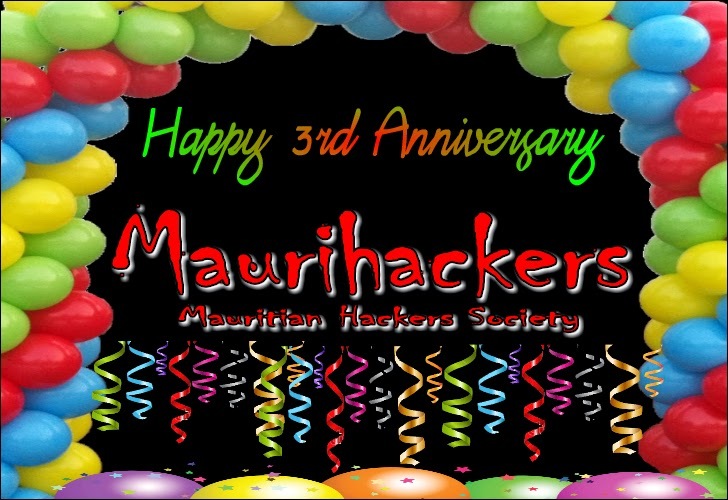 We are proud to be the only Mauritian website which provides news relating solely to IT security and hacking. We have been reporting several security issues lately and we promise, we will continue our work for the coming year.